By Pension Lawyer Eva Cantarella of Hertz Schram PC on Monday, December 18, 2017. If you collect Social Security retirement benefits before age 65, you will automatically be enrolled in Medicare when you turn age 65. However, more and more Americans are delaying the start of their Social Security retirement benefits because the payment becomes increasingly larger the longer one waits (up until age 70). In the course, many Americans are missing critical Medicare enrollment deadlines and, as a result, paying higher Medicare premiums FOR LIFE. In general, you must enroll in Medicare during the seven-month enrollment period that begins three months before your 65th birthday. 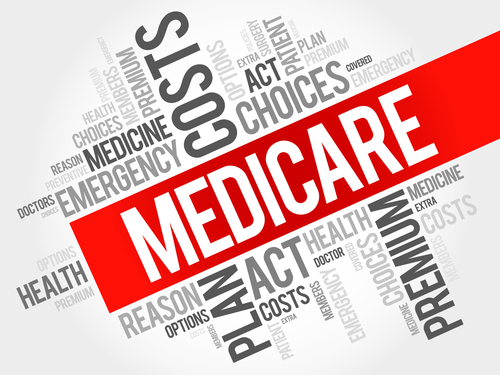 The enrollment options include Medicare Part A, which is free and covers hospital charges, Medicare Part B, which requires payment of a monthly premium, but covers doctors' visits and outpatient services, and Medicare Part D which also requires a monthly premium, but covers prescription drugs. What is NOT optional is the enrollment deadline. For every year you miss it, you incur a permanent 10% penalty that is added to your future monthly premiums when you do enroll. For example, if you postpone enrolling in Medicare Part B for two years, you will pay an extra 20% per month for the rest of your life. There is also a delayed enrollment penalty of 1% per month for Medicare Part D. Further, if you miss the initial enrollment period for Medicare Part B, you will have to wait until the next general enrollment period, which is January 1 through March 31 with coverage beginning July 1. In the meantime, you may be responsible for a majority of your medical bills. Enrollment Deadline Exception: If you have group health insurance through your CURRENT employer or your spouse's CURRENT employer, the penalty-free seven-month deadline commencing three months before your 65th birthday does not apply. Instead, you will have a special penalty-free enrollment period which begins when the CURRENT-employer group health insurance coverage stops and ends eight months later. Health insurance coverage from a FORMER employer [e.g., COBRA coverage] does not qualify you for this special delayed penalty-free enrollment period. Neither does health insurance coverage from an employer with fewer than 20 employees. You may enroll for Medicare online. The process is simple and generally takes less than 10 minutes. The Social Security Administration will process your application and contact you if more information is needed. Otherwise, you will receive your Medicare card in the mail. To read more pension and retirement posts by me, go to my Pension Justice 4 You Facebook Page, and click the Like and Follow tabs to be automatically notified each time a new post is published.